Data recently released from a large national health insurance company indicates that treating a spine related back injury within the first three days dramatically decreases the amount of time and money spent on getting the patient back to normal activity. This data was gleaned from over 16 million episodes of non-surgical back pain, and more than 800,000 different providers including medical doctors and chiropractic doctors. If chiropractic manipulation and other physical therapies were performed in the first few days the cost ($1,050) decreased by almost half. If, however, patients went to the Hospital ER/Urgent Care and imaging – MRI was performed in the first few days the cost ($3,479) more than tripled. In case you were wondering, patients in both groups fully recovered either way and none of them required surgery. Notably, those patients who waited more than 30 days to seek manipulative therapy resulted in almost double the cost ($1,907) per episode. Those who waited more than a month go to the Hospital ER/Urgent Care and had imaging – MRI resulted in higher cost ($3,863) as well. And again, patients in both groups fully recovered either way and none of them required surgery. 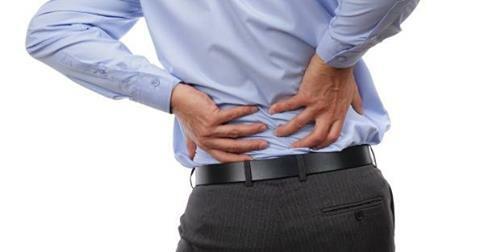 1) When you injure your back, do not wait more than a few days to seek chiropractic care. Waiting for your back pain “to get better on it’s own” will likely cost you more time and more money. 2) Go to a chiropractor first if you want to get better faster from spine-related back pain. In the vast majority of cases, starting with the Hospital ER/Urgent Care and having imaging – MRI will not change the outcome, and it will cost you more time and money. If you would like to know more about today’s chiropractic care, call our office at 330-877-3177 to schedule a consultation with Dr. Weisel. He specializes in the treatment of back pain, neck pain, headaches and other complaints. Mention this blog post when you call, and receive a complimentary assessment and consultation. It is also important to note that most back injuries and back pain are mechanical in nature. Yet the medical standard of care is to treat these mechanical malfunctions with chemicals meaning, drugs. While treating a mechanical problem with drugs the clock is ticking as the article above indicates. Costs go up. The likelihood of incomplete recovery goes up as well. If you have a mechanical problem, you need a mechanic, not a chemist. Treating back pain with medications has very little support in the scientific literature. On the other hand, Chiropractic correction is well supported in the scientific literature. Play it smart. Get care early and from the right source. Your Chiropractor. Thanks for your comments, Dr. Carraway. I couldn’t have said it any better.